Cardi B — rapper extraordinaire, fashion icon, and all-around badass goddess — has a new song called "I Like It," and in the song she declares her love for a pair of sneakers that look like socks. The song also features my third and sixth future husbands Bad Bunny and J Balvin (they don't know it yet, so don't ruin the surprise). It's a total bop and the video is just f#@%ing beautiful to look at. 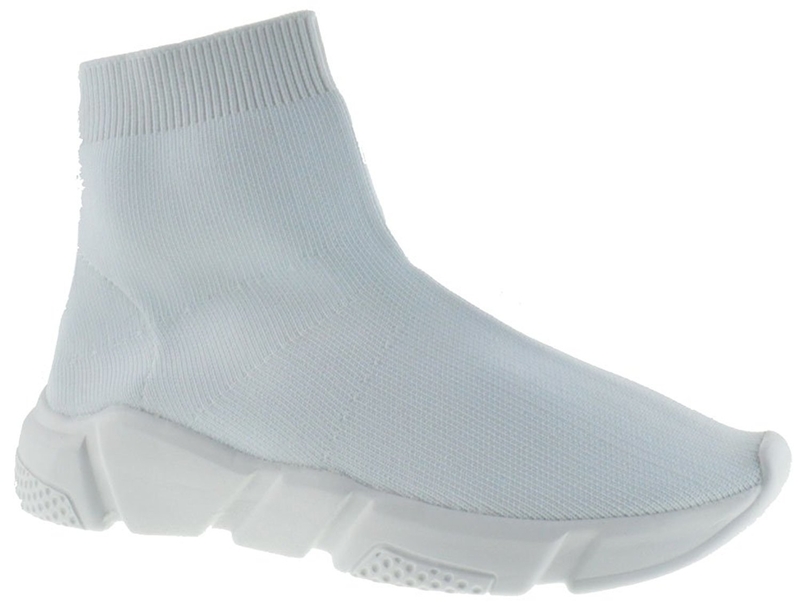 She was talking about these bad boys, the Balenciaga Speed Sneakers — and they ain't cheap, okurrrrrrr! They're available at Nordstrom and come in a handful of colors (including blue, black, white, navy, and gray) and with a starting price of $750. So, if you're like us and agree that these sneakers are totally likable but don't have Cardi B money, we found a slew of alternatives that might just fit your budget. 1. These lightweight and breathable sneakers for an uber-comfy shoe you'll look and feel great walking around for hours in. Get them from Amazon for $15.99+ (available in sizes 6-12 and in 10 colors). 2. This ruffled Opening Ceremony pair designed with a colorful foldover sock to give your favorite basic white sneaker a bit of an upgrade. Get them from Nordstrom for $99.98 (available in sizes 5-10 and in white, navy, and gray). 3. These super-bright mesh gym shoes you should definitely wear when you "go to the gym" and when you go to "work out." Get them from Amazon for $27.99 (available in men's sizes 7.5-13 and in six colors). 4. 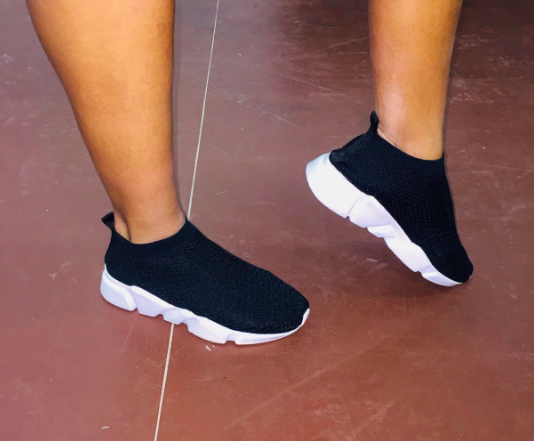 These cute AF Italian knit Joshua Sanders sock sneakers so pretty they put a bow on them! Get them from Nordstrom for $157.98 (available in sizes 7.5-10.5 and in pink and black). 5. 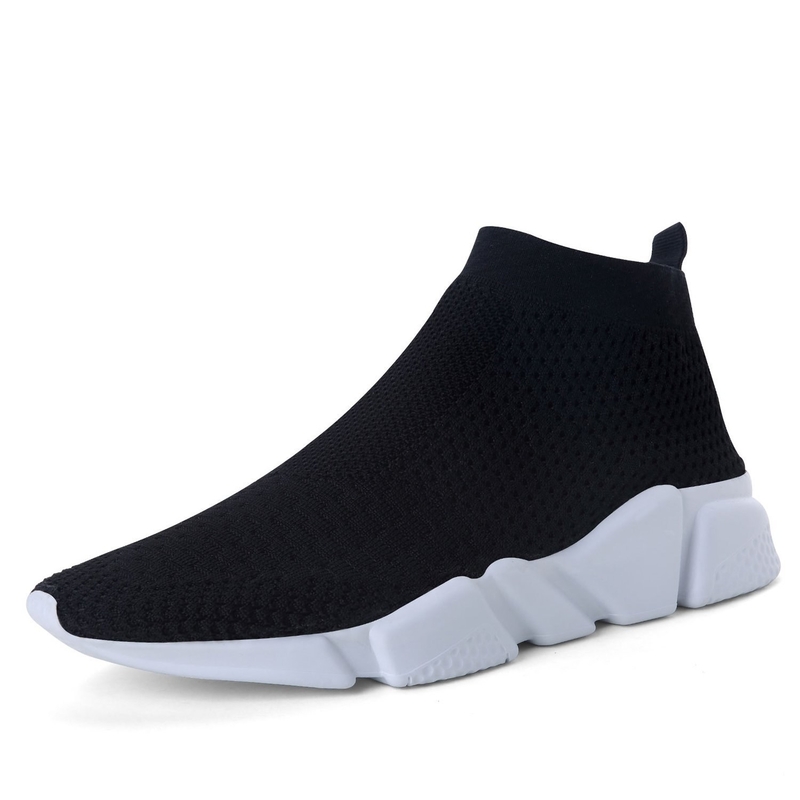 This pair of elastic fabric high-top sneakers that almost look like they're visiting from the future. 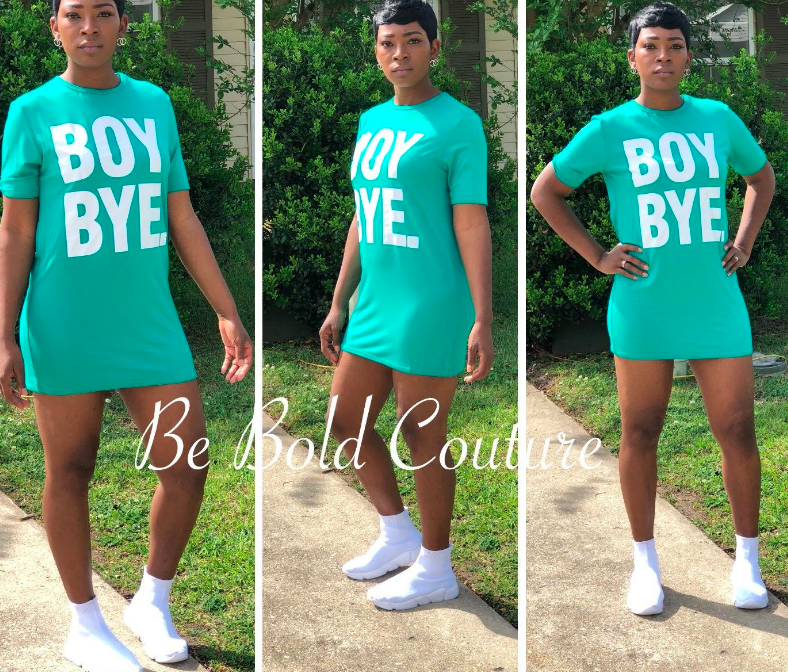 Get them from Amazon for $9.99+ (available in sizes 5-10 and in five colors). 6. These Under Armour HOVR Phantom sneakers that just might be the most comfortable sneakers you ever wear. Get them from Under Armour for $140 (available in sizes 6-11 and in six colors). 7. This pair of cushioned mesh sneakers designed with a compression molded midsole so every step you take is done in total comfort. Get them from Amazon for $10.99+ (available in sizes 5-12 and in 16 colors). 8. 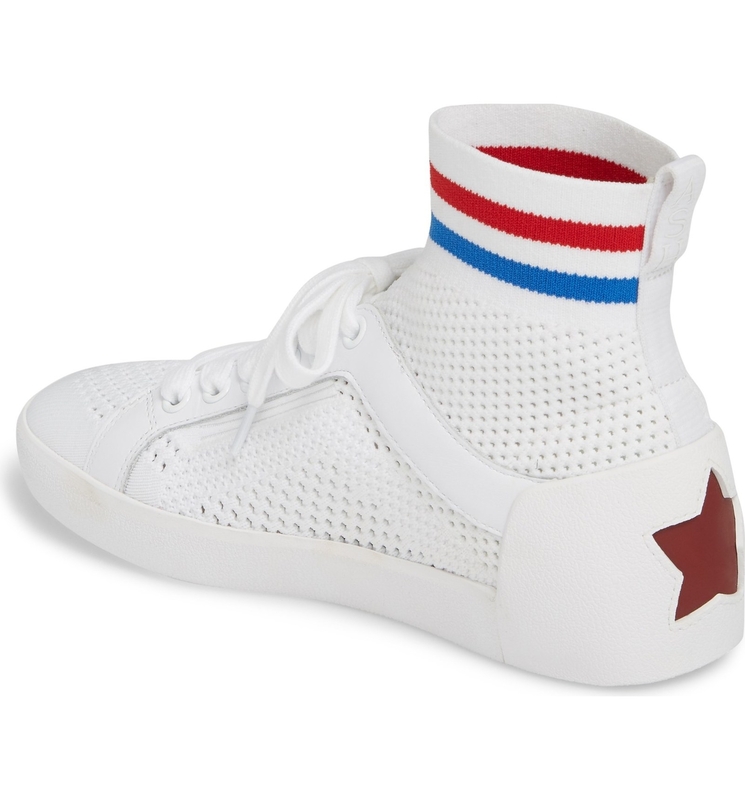 These knit Italian top-sock sneakers that'll be the perfect finish to your favorite T-shirt-and-jeans looks. Get them from Nordstrom for $157.98 (available in sizes 4.5-10.5 and in navy, pink, and black). 9. 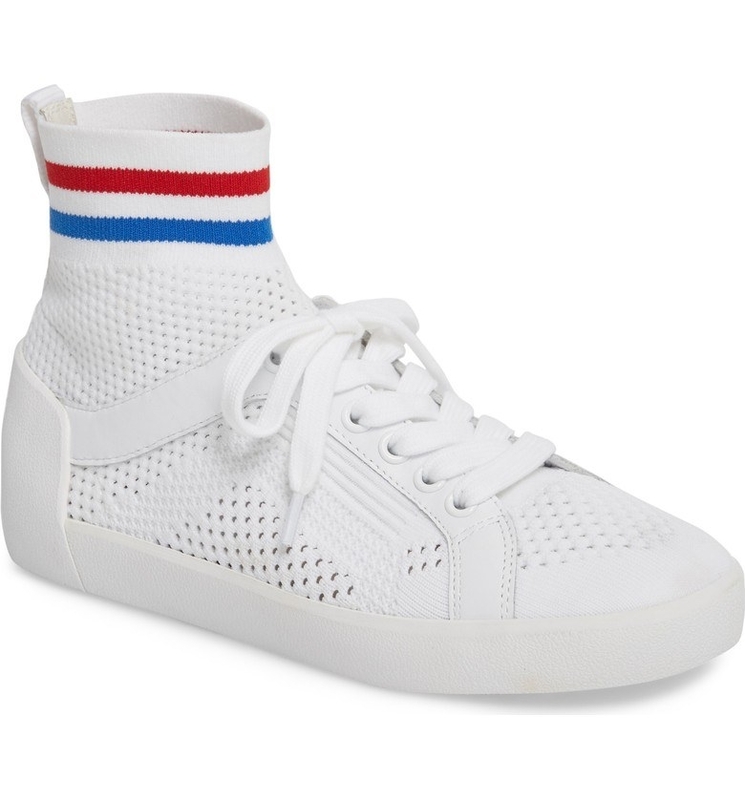 These sporty open-weave knit Ash sneakers to replace the used-to-be-white go-to sneakers you loved so much. Get them from Nordstrom for $197.95 (available in sizes 5-11). 10. This pair of slip-on Vince knit sneakers designed with an articulated rubber sole for a flexible and totally comfortable fit. Get them from Nordstrom for $77.98 (available in sizes 6-9.5 and in navy and marbled). 11. This pair of lightweight knitted slip-ons that'll be so comfy thanks to their cushy foam sole. Get them from Asos for $45 (available in sizes 6-9, 11). 12. These sleek Vince sneakers you can easily dress up with a chic trouser or down with a comfy pair of jeans. Get them from Nordstrom for $89.98 (available in sizes 5.5-9). 13. This glittering pair of embellished slip-ons that'll have people thinking you're actually walking on sunshine because your feet will shine so bright. Get them from Asos for $39+ (available in wide-fit sizes 4-10 and in non-wide sizes 5-10). 14. This pair of rainbow-adorned Loeffler Randall sock sneakers perfect for those busy weekends when you don't just want to wear another basic AF outfit. Get them from Nordstrom for $295 (available in sizes 6-11). 15. These super-comfortable lightweight sneakers that just might put that extra spring in your step. 16. This pair of uniquely engineered Ash sneakers designed with a textured and patterned sock-fit fabric to help give it a totally elevated look while still keeping things comfy. 17. These floral neoprene sock sneakers that you can coordinate with your next stroll through the garden. Get them from Asos for $56 (available in sizes 5-10). 18. These mid-top breathable Ash sneakers for an everyday shoe you don't have to worry about getting totally dirty. Get them from Nordstrom for $185 (available in sizes 5-11 and in white and black). 19. And these Steve Madden lace-up sneakers that just might be the smooth transition you need to take your regular ol' boring sneakers to the next level. Get them from Zappos for $59.95 (available in sizes 5.5-11 and in blush and black). How you're about to feel walking around in your new sneakers! And check out our pick for the best cheap everyday sneakers on BuzzFeed Reviews!